Home / Stock Picks / Stocks to Buy / Is JPMorgan Stock the Obvious Choice Among Large Banks? JPMorgan (NYSE:JPM) reported its first-quarter results on Apr. 12. JPM stock gained almost 5% on the news. Citigroup (NYSE:C) announced mixed results before the markets opened on Monday. Its share price barely moved. As far as large bank stocks, JPM stock appears to be in a league of its own. Can any other bank stock touch it? Let’s consider a few different financial metrics to determine if Jamie Dimon’s baby is the obvious choice among large bank stocks. Before we consider our options, it’s essential that we come up with some definition of large. As I scan a list of bank ETFs, the Invesco KBW Bank ETF (NYSEARCA:KBWB) catches my attention because of its laser-like focus on 24 bank stocks. JPM stock is its number one holding, accounting for 8.56% of its value. KBWB tracks the performance of the KBW Nasdaq Bank Index, which in turn tracks the performance of the leading banks and thrifts that are publicly traded in the U.S. They are primarily sizable, national, money-center banks, with a few regional banks and thrift institutions thrown into the mix. The index uses a float-adjusted, market cap-weighting methodology. The stocks that are weighted lower generally have smaller market caps. The easiest thing to do would be to compare JPMorgan’s Q1 results to those of Citigroup. However, that wouldn’t be any fun. So, instead, I’m going to compare JPM to my favorite U.S. bank, SVB Financial (NASDAQ:SIVB), where entrepreneurs and innovators go for their financial services needs, both business and personal. Unfortunately, SIVB doesn’t report its first-quarter results until Apr. 25, so I’ll use the banks’ 2018 numbers to compare them. By looking at these five financial metrics, it’s clear that SIVB stock is very attractive relative to JPM stock. However, there are a couple of caveats to these numbers. First, SVB Financial is much smaller than JPMorgan. In 2018, SIVB had $2.6 billion of revenue. That’s about 2% of JPMorgan’s total revenue. JPM had $2.6 trillion of total assets, compared to $55.2 billion for SIVB. The 0.52 percentage-point difference in the banks’ return on average assets isn’t a big deal, since JPM is so much bigger than SIVB. For example, if JPMorgan had SIVB’s return on average assets in 2018, it would have generated $45.7 billion of net income, $13.3 billion more than it did. However, as it stands, JPMorgan’s net income in 2018 of $32.5 billion was 59% of SVB Financial’s entire asset base. I’m sure Jamie Dimon would love to have some of SIVB’s superior numbers, but given JPM’s size, that’s not very realistic. The second caveat is that SIVB is geared toward commercial banking. In 2018, out of $27.5 billion of its average loans outstanding, 50.8% were worth $20 million or more. Consumer loans and mortgages accounted for just 10% of the bank’s total loan portfolio. JPMorgan’s total consumer-credit portfolio, including credit cards, was $1.2 trillion, or 46% of its total assets. It focuses much more on retail banking than SIVB. When economies turn south, that can work against JPM stock. But for now, with a relatively strong economy, JPM and JPM stock are sitting pretty. If you’re interested in owning one of America’s biggest and best banks, I don’t think there’s a better choice than JPMorgan stock. However, if you want to own a piece of one of America’s best banks, period, SIVB is a desirable alternative, in my opinion. 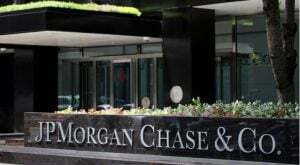 Article printed from InvestorPlace Media, https://investorplace.com/2019/04/is-jpmorgan-stock-the-obvious-choice-among-large-banks/.